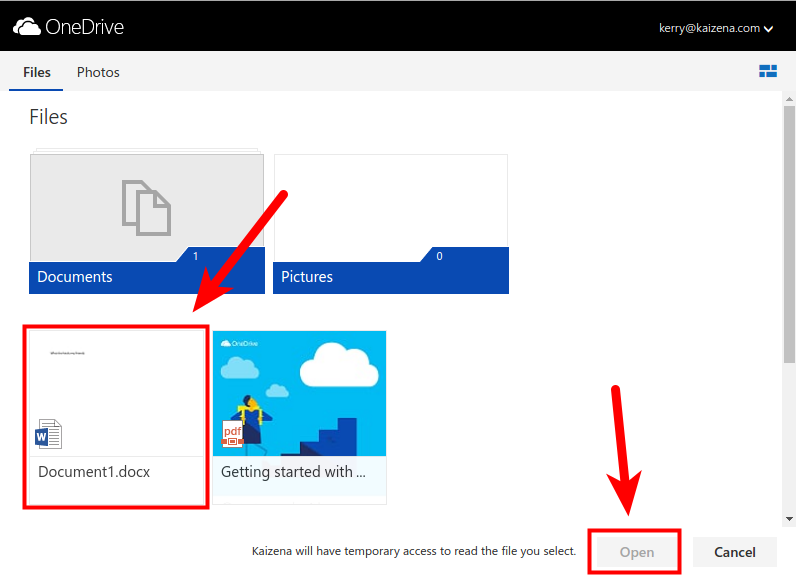 If you have a Microsoft account and use OneDrive, you can use your Microsoft account to log on and upload files. 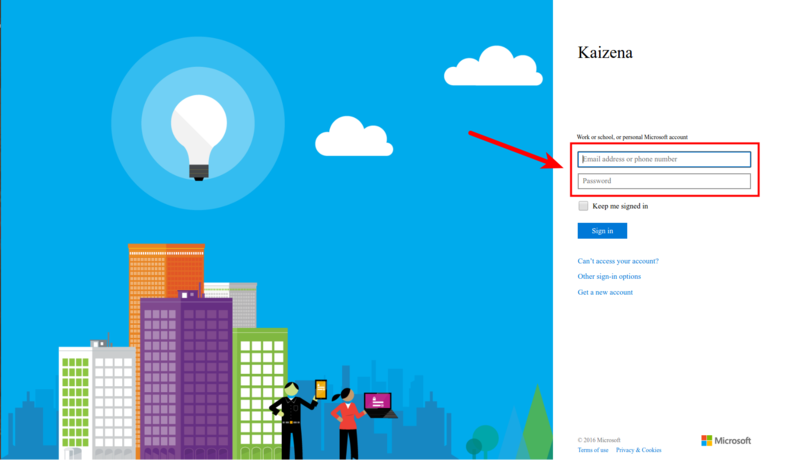 Once you've signed in with Microsoft, you can continue setting up Kaizena. This will add the file to your conversation, and you can start giving feedback.